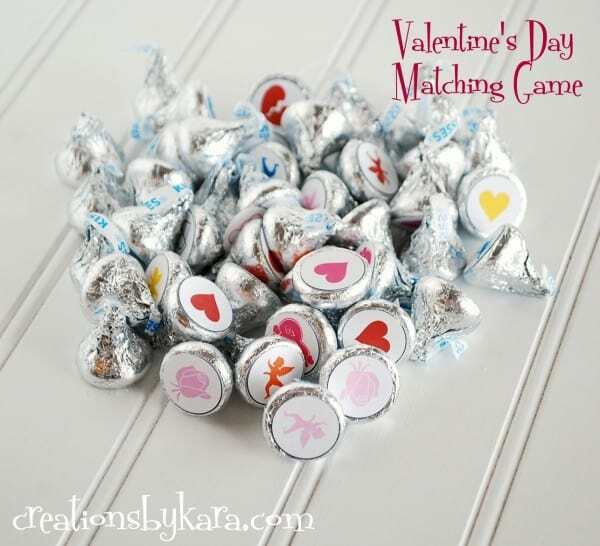 Valentine’s Day Matching Game – stick these free printable dots on the bottom of Hershey kisses for a fun Valentine game for all ages! I don’t know about you, but I’m always looking for ways to make the smaller holidays more fun for my kids. Valentines Day isn’t geared towards kids–especially boys. What boy gets thrilled about pink hearts and ruffles? I know mine don’t. But throw in some candy, and Valentines Day becomes much more fun! It takes a little while, but it’s a perfect job for little hands, so have your kids help you glue them all on. 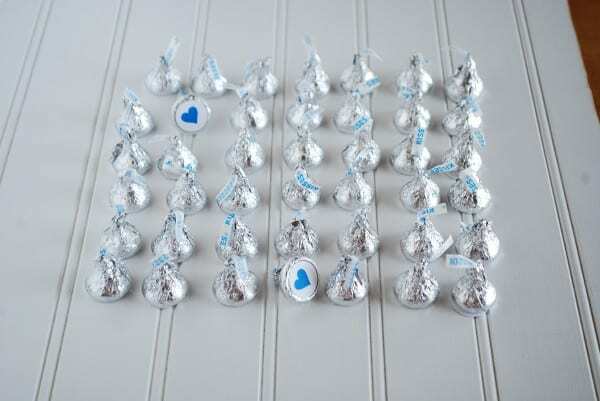 Arrange the kisses in rows on a flat surface. 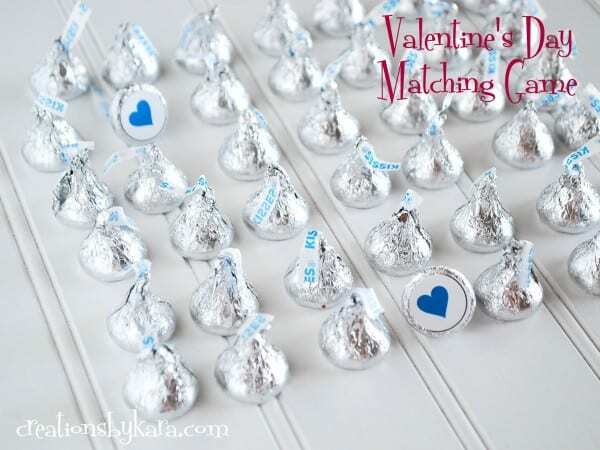 To play the Valentines Matching Game, take turns choosing pairs of Hershey kisses. If the two pictures on the bottom are a match, you get to keep (and eat) the Hershey kisses. Note: This game works best with multiple players, but if you have a small group, you can simply punch out fewer pictures. 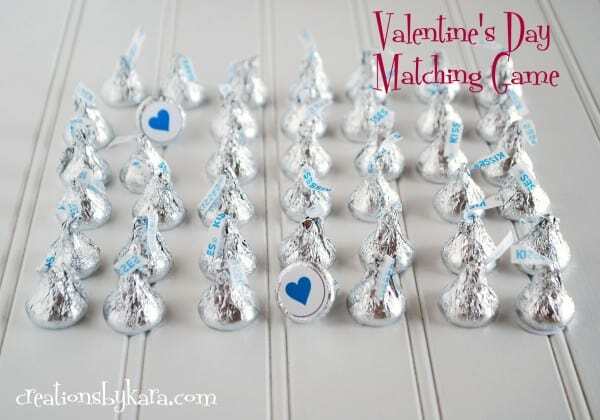 I know I for one wouldn’t want my kids downing 30+ kisses in one sitting! Update 2/5/13–I found out why many of you are having issues printing the game, and it is because I am a newbie to printables and don’t know what I’m doing. Yes, it is true, I’m admitting it. I used dingbat fonts for the graphics, and apparently if you don’t have them on your computer, they won’t print out. I had no idea! I have made a second addition of the Matching Game and added a second page to the PDF file. I replaced all of the dingbat fonts with shapes that I created all by myself. Wheww! It’s not quite as cute, but it should work for all of you. 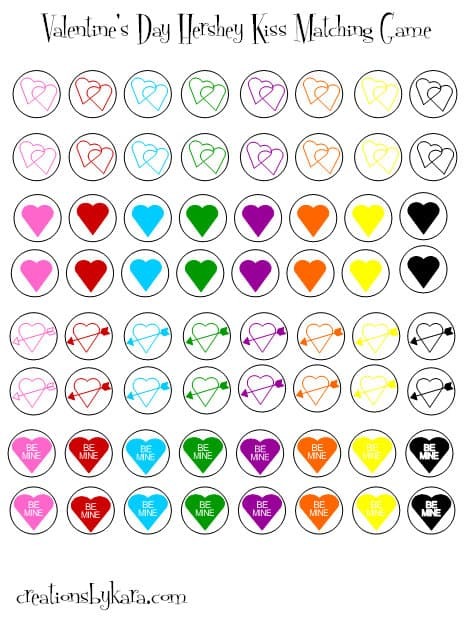 If you don’t have the fonts “Luv n Kisses, 4Yeoval, and WMValentine”, use the second version!! Made these for a kindergarten class party – so cute!! Thank you! I printed it on label paper and then just had to cut them out and stick them on. Hi, I had a problem downloading this as well when I click on the link. However, if you right-click on it and then save it, it works that way. Thanks for this printable, it is adorable and I’ll be using it for my kindergartener’s class party! 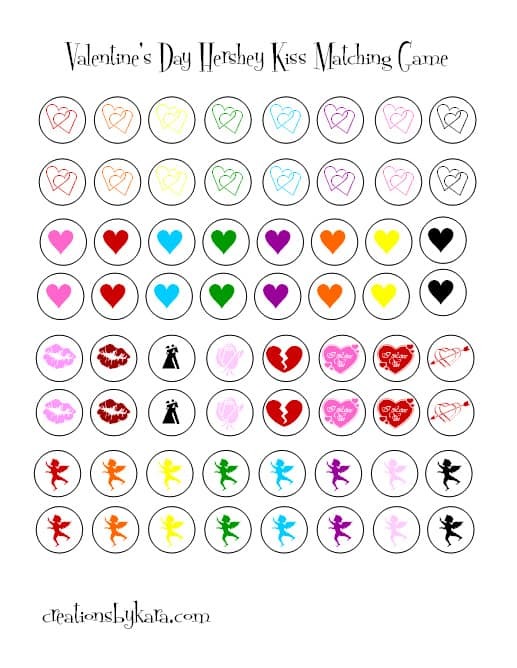 Hi I would love to print this for my daughters valentines party but it does not seem to be working. is there something i am doing wrong? Love this idea! Clicked on the link to print but clipart was not in the circles. Is there a trick I’m missing? thanks! I am not sure what is going on Merrilee. That is very strange! Try it again and let me know what happens. Kara, this is the greatest! I love it! My girls are going to have so much fun playing this! Thanks for sharing! I’ll be featuring this on my blog tomorrow! I LOVE this idea! Unfortunately, when I click the link to print, it says “Not Found” and directs me to a search box. Not sure what’s going on, but I’m super bummed cause I’d love to play this game with my kids. Thanks so much! I have the same problem. I would really like to have this game, is there anyother way to have this? This game is really cute!! 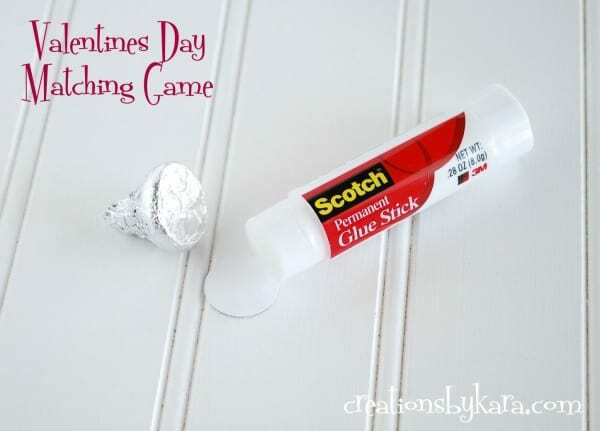 I had to consult with my techie husband, but apparently the apostrophe in Valentine’s was messing up the link. I renamed, re-saved, and re-uploaded, so it should work now. Sorry about that! I love this idea, it’s so cute! 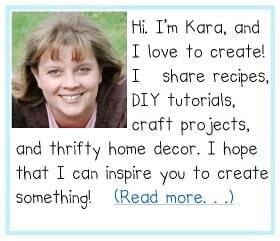 I spotted you over at Artsy Fartsy Mama’s Monday round-up. Thanks Adrianne! My boys sure love it! This is such a great idea! Thanks for sharing, I love it. I LOVE this idea!! So clever!! I will for sure be doing this with my boys. Thanks! What a sweet idea! Pinning immediately!